Looking for something different for yours or a loved ones Hen Party? Kiwi offer personalised Print Party Days to help make the Bride to be's celebrations something to remember. 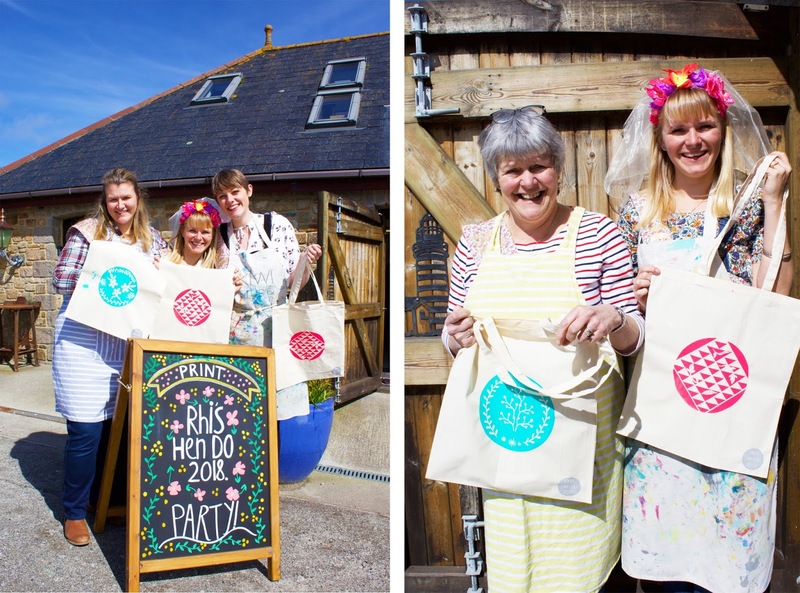 Create a bespoke hand printed tote bag of your own, perfect for the night before the wedding over night bag, a holiday beach bag, or even just something for your groceries. 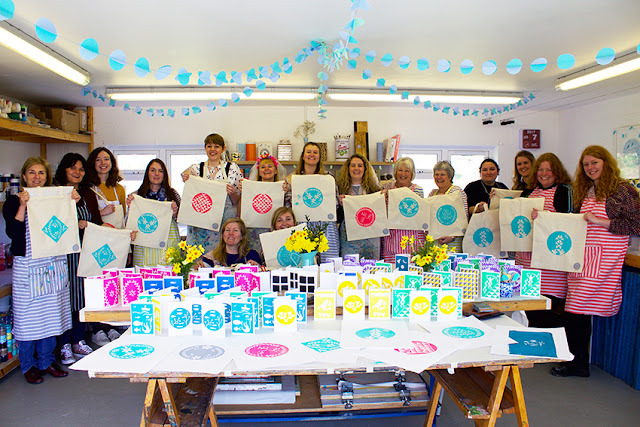 The workshop will cover creating your very own design, transferring your design into a hand cut stencil, mixing colours and pulling your prints to create a unique tote bag. You will also have the opportunity to print your design onto paper to take home and frame. 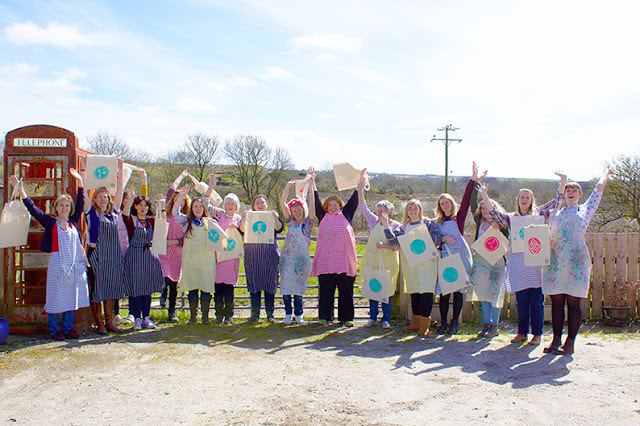 This workshop is tailored for any skill level, no experienced is required, its designed to be relaxing and enjoyable, in a fun and creative environment, perfect for all the Hens to have a laugh and make the most of the day. 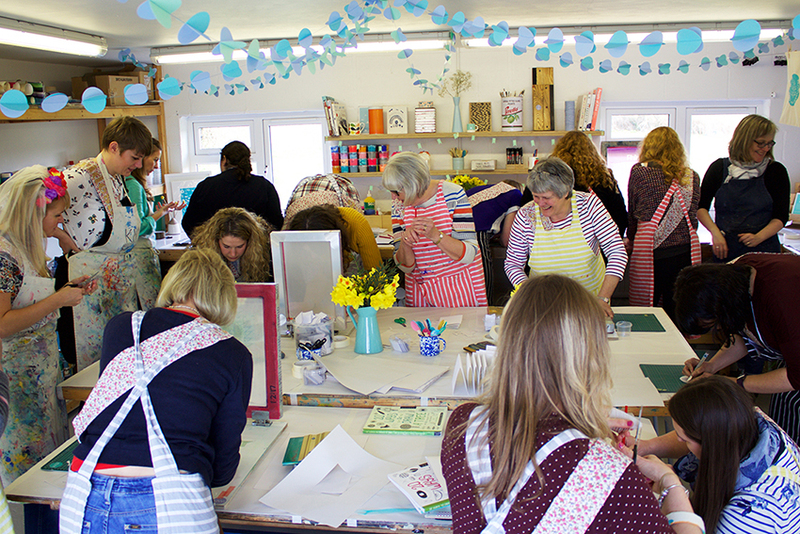 As part of the workshop the Bride will have special printmaking support in printing her tote bag and paper prints, whilst the hens can enjoy themselves eating celebratory cake. We will liaise with the Bride and her hens to discuss colour schemes and styles to create some custom, in house, hand printed decorations for the studio, complete with bunting and an area for your to bring in cold snacks, and nibbles. 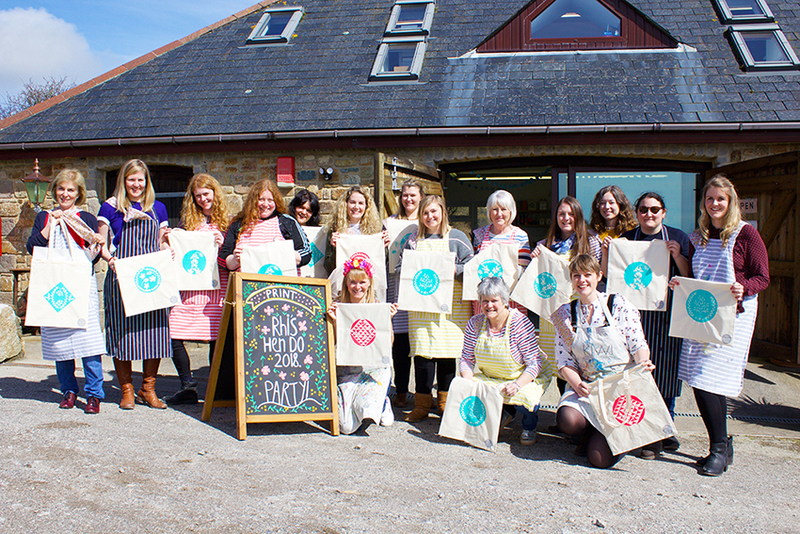 Kiwi's in house printers will screen print personalised goodie bags for all the Hens with some sweets and Kiwi prints to take home, or enjoy during the workshop. In addition to printing your tote bags and paper prints, Kiwi offers additional services for the Bride to be. Our in house designer will create a personalised bunting design of the Brides choice, to be printed by the Bride and her hens on the day. The bride will choose her colours and together everyone will print a set of bunting to be used for the wedding, or any occasion. This will all be organised in advance so the day runs smoothly and all hens can relax and enjoy themselves. As this is a busy and creative workshop Kiwi also offers the option of booking a professional photographer to document your day. Making sure you don't miss out on capturing special moments. Our photographer Joe Norman is both professional and laid back, he is able to go about his business unnoticed taking beautiful natural photos of the day, without causing distraction. Photography and Bunting design price is open to discussion, for the bride and hens to decided what they would like. 11.00am - 4.30pm £150 includes all photographs, edited and saved onto a memory stick or a link to online file sharing. "Michelle said it was by far and away the best part of the hen weekend. She loves the bunting and was so touched that you all went to so much effort for us. You all went the extra mile to make her feel special. She loves the fact that the design is based on her dress. The teaching was clear and relaxed and it was great we could refer to all of the Kiwi staff for help. The number of books to refer to was great too. What came across is that you are all clearly passionate about your craft. I've done a lot of arty workshops and this one was very professional, loads of prep had already been done so we could just start work which was great. The studio was a lovely environment. We all had a great time and all came away with your infectious love of printing."